A favourite in our house. Even Ez stuffs them in his mouth! 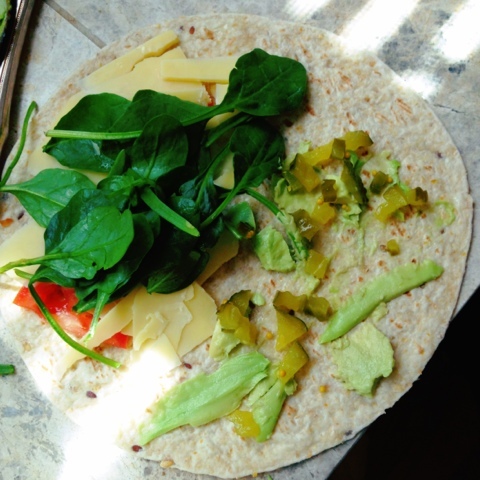 Whole Tortilla, Cheese, Spinach, Tomato, Pickles and Avocado in this one, served with Yoghurt. Often I will use sliced turkey breast if we have some or beans work as well. 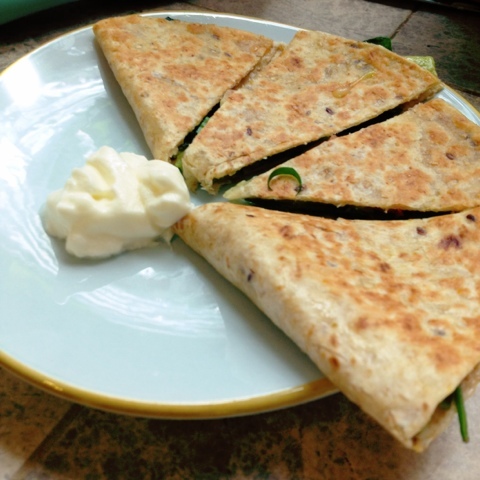 Simply place the ingredients on one half of the tortilla, fold it in half. Put a bit of oil in a pan on medium heat and lightly toast each side until the cheese is melted. And Enjoy. It is a good lunch for adults too! 12 comments on "Toddler Lunch: Quesadilla"
Even better!! I eat them for lunch as well, one of my favourites! 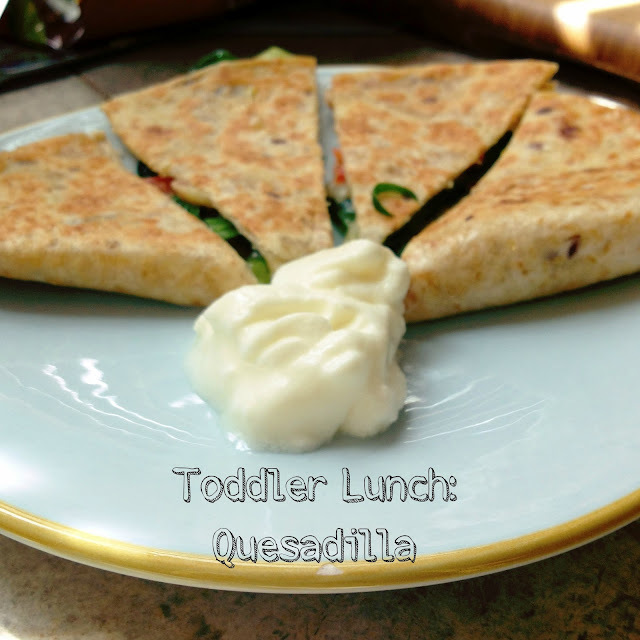 Toddler gourmet! When my boys were toddlers the most adventurous they got was vegemite and cheese sandwiches! YUM!! Perfect.. might try that tomorrow!!!! ha! Yeah most of the time it is whatever I can scramble out of the cupboard, sometimes I am more prepared, and just want him to eat what I want to eat!! And the day after! ha. They are addictive! yum , that is lunch planned for tomorrow now.